Another Mission Trip to Canada! I was only home from my first mission trip to Canada for a month before I left for another one. On my first trip we preached in Dunnville, Niagara, and Toronto. This trip we preached in Cornwall, Montreal, and Ottawa. When I first started my street ministry 16 years ago, I had no idea God would open up so many doors for me to preach the Gospel in so many cities. There is a church in Cornwall Canada called “Gospel Truth Outreach” that is very active in street ministry. They invited me out to do some Evangelism Seminars at their church and then join them on outreaches in various neighboring cities. I preached four times in the church during my trip, on “How to Convert Sinners,” “Is Street Preaching Effective,” “Street Preacher Secrets,” “Your Sin Hurts God!” These videos are not on my Youtube yet but I am exciting to say that they soon will be. There is a real wisdom that goes into soul winning. In fact, there is a real “psychology” to it, as there are various states of mind a sinner must go through on the pathway to conversion to Christ. Charles Finney, the great American Revivalist, taught that there were four distinct types of sinners: Careless Sinners, Awakened Sinners, Convicted Sinners, and Converted Sinners. Where the person is at in these four stages determines how you should witness and deal with them. If a sinner is careless, they don’t care about God. They have no interest. So you start by getting them interested. When I am open-air preaching, I might start off by pointing out, “You’re all gonna die!” This get’s them interested in spiritual things. Or, as Finney said, sometimes it’s the death of a family member or friend that first gets a sinner from a state of carelessness to a state of being awakened. Once awakened, they are inquisitive about God, Christ, salvation, the Bible, etc. But they still aren’t ready to be converted. They have to go through an experience of deep conviction over their sin. This is when you need to talk to them about the law of God and the sins they have committed. When they see their sin and how awful it really is, when their conscience has done its work and they admit that they are hell-deserving sinners, now they see their need of the salvation that is offered in Christ Jesus. Many people confuse convicted sinners with converted sinners but this is a fatal mistake. Just because a person feels bad over their sin doesn’t mean that they are a Christian. Preachers sometimes seem to think that the unregenerate are all careless over their sin, so if a person feels convicted this must mean they are regenerate. To the contrary. Conviction simply means that their conscience is working. It doesn’t mean that their hearts have been converted and regenerated. It doesn’t mean that they are submitted to God and obedient to Him. Once the sinner is in a state of conviction, you must urge him to immediately repent and turn from his sins, offering to him God’s promise of forgiveness and pardon if he will simply repent. A person is not truly converted to Christ until they have forsaken all of their sins. As you can see, it is important to recognize where the sinner is at in these stages and to deal with them accordingly. Are they careless, awakened, convicted, or converted? Every time you are witnessing or open-air preaching, think about these things and may the Spirit of God lead you with the right words to say at the right time to the right person. Montreal was a city that I have wanted to street preach in for over ten years. I’ve preached in Ottawa, Toronto, Windsor, Winnipeg, Niagara, and elsewhere, but never Montreal. One time as a teenager I went to Montreal with some friends but didn’t do any street preaching and I’ve regretted it ever since. The thing about Montreal is, everyone speaks French and I don’t! However, even though they strongly prefer that you street preach in French, they understand and speak English perfectly well. Besides, I think street preaching in English only helped me get more attention. There was a busy street corner with lots of foot traffic from the subway where we started our outreach. I lifted up my voice and rebuked sin and it didn’t take very long before I got a crowd of young people and street people. As the day went on, the crowds came and left a few times. At one point I decided to try a new location: an empty bench right next to where we were preaching. I thought maybe the added elevation would help me gather another crowd. I was right. I had only been preaching for a few minutes when a heckler came by and stood up on the bench right next to me. As he and I began to interact and dialog, a crowd in front of us started to gather. All I remember about his message was that it was horrible. His evil heart was showing. He was advocating for every type of sin you could imagine. Drugs, homosexuality, prostitution, etc. He was so filthy and blasphemous. He said God didn’t care if we sinned, that God wanted us to sin, that God accepts us in our sins, etc. This older man walked by and listened for a few minutes at what I was saying and then at what the heckler was saying. He then decided to rebuke the heckler and tell the crowd that I was right. If I remember right, he comes from a Muslim background but converted to Jesus Christ. Eventually the city Police arrived and gave us a hard time for standing on the bench and using the amplification. We already had a pretty full day at this point but we continued to preach for a little longer, without the bench and without the amplifier. All in all, it was a wonderful outreach! I was so happy to be hitting the streets of Montreal with the Gospel of Jesus Christ! But I had no idea about the hard time we would soon have in this city on our next outreach there. SERMON: IS STREET PREACHING EFFECTIVE? The fact is, when sinners get convicted of their sins they either react in anger or in repentance. The fact that sinners get angry and hostile when we preach is actually a good sign. If unconverted sinners are apathetic when you are preaching, you might be doing something wrong. The Gospel is effective. Asking if street preaching is effective is the wrong question. It depends on what you are street preaching. If you are street preaching the Gospel, it is effective! I told the church, “Street preaching with the anointing of God is effective.” Praise God we see sinners convicted and come to repentance EVERY. SINGLE. MONTH. It’s amazing what God is doing and how much the Church tries to oppose Him in it! When I was first studying the art of open-air preaching, I’d watch some VHS tapes of a couple different open-air preachers and I saw how they were surrounded by a crowd of people engaging them in questions. That is what I wanted to do in the open-air. Surrounded by a crowd of sinners asking you questions about the Bible!?! It doesn’t get any better than that! But when I first started going out to the streets to preach, actually drawing a crowd was a very difficult task. When I first got started, drawing a crowd of 10 people for 10 minutes would have been a HUGE accomplishment! I preached nearly every day for two to three years without really drawing much of a crowd. Now, I can draw a crowd of 100-500 that stay and listen for 3-5 hours. It took practice but the strategies are very simple. Of course, you want to spend time in prayer before you go out and ask the Lord to anoint your Words, for His Spirit to draw in listeners, etc. But there is also the practical side of things. God created us and placed us in a practical world. First, preach on a sin you know someone will heckle you about. Homosexual, abortion, transgenderism, etc, are all perfect examples. Second, keep preaching and hammering on the sin until a person stops and begins to heckle you about it. Remember, your target audience is those who disagree with you. You want them to voice their disagreement with you so that you can openly discuss it. Third, engage with this heckler in dialog and debate until a crowd gathers. It won’t take very long at all. Nothing draws a crowd faster than two guys publicly arguing. Paul used to “dispute” daily in the market place and “reason” about the Scriptures. That is what we want to do. Once a crowd gathers, you can then address everyone. You can ask the crowd if they have any questions, share your testimony, etc. And if you notice that the crowd starts to dwindle down and people are losing interest, just start back at step one again. You can repeat this process all day long and have a huge crowd the entire day! I first preached downtown Ottawa in 2005 but it was very cold at night and there was a blizzard. I was happy to return this time during much better weather! We walked around and scoped out the area to find the best spot to launch our attack against sin and settled on this bus stop area. It was great to see the pastor of the church start the open-air preaching! I wish all pastors were good examples to their flocks when it comes to evangelism! I preached second and managed to go for only a few minutes before the Police arrived. There was a lesbian in the crowd who didn’t like our preaching. I suspect she is the one who called the Police. All the Police asked is that we move just a little bit because we were technically on “private property” owned by the bus transit. No problem. This area had a bus crosswalk. On one side of the street was a shopping mall and on the other were small stores. It got lots of traffic and I was able to engage some of them in dialog. The lesbian who I first noticed in the crowd when we first got started, whom I could tell by the expression on her face was very upset about our preaching, apparently went and made her own sign to protest us. We had moved around to a few different locations. Apparently she wasn’t able to find us at first but eventually found us. We started to minster directly to her about her sin and we could all tell how her demeanor changed. We started to sense some conviction. We all shared our testimonies. I used to be a drug addict and drug dealer. The pastor used to be a burglar. We both found the Lord when we were locked up. Our testimonies seemed to minister to her. We told her that we would be praying for her. And at that point she told us her name, so that we could pray for her by name. That was a good sign… unlike her original sign! SERMON: YOUR SINS HURT GOD! I was honored with an opportunity to speak to the whole congregation on Sunday. I spoke on The Emotions of God. The topic was fresh in my mind because I had just published a book on that topic. Most sinners never think about what their sins do to God. They think about how their sins affect them. Maybe they think about how their sins affect their family and friends and those around them. But they almost never think about how their sins affect God. And God is the one who is most hurt by sin! He’s been hurt by sin from the beginning! He is hurt by sin every single day! The Bible says that God is grieved over sin. God is broken hearted over sin. God is even provoked to jealousy, wrath and anger over sin. Sin interferes with the happiness God deserves! As Christians, we should feel deep sympathy for God. We should live holy because we love Him and don’t want to displease Him. And we should seek to convert sinners from their sins because we want God to be pleased. When we returned to downtown Montreal we found a slightly different street corner to preach on this time. It was nearby where we preached the first time. It also had lots of foot traffic from the subway and the crosswalks. The acoustics were especially nice at this location. My voice, without any amplifier, was booming off the buildings very nicely for everyone to hear me loud and clear. One group of men walking by was a bachelor party. The men who was getting married was wearing a wedding dress. He was just goofing around. Nevertheless, I rebuked it as an abomination. As hard as my rebukes were, they were still a friendly bunch towards me. They were obviously excited and happy about the upcoming wedding. I had a very nasty heckler come up and start screaming and yelling at me, bumping into me, trying to bump me off the soap box, etc. To this day I am still unsure if this was a man who looked like a woman, or a woman who looked like a man. It was a transgender person. That much I do know. And it was not very happy with my preaching! This man also came up to me and heard only a little bit of what I was preaching and immediately was super intense and wanted to get violent. The Police at this point started to arrive and to listen to the preaching, so this man held back the violence he obviously wanted to engage it. His muscles were all tense and he told me that he wanted to beat me “so bad.” He was upset that I was calling homosexuals to repentance. The Officer who first arrived stayed behind on the sidelines for a few minutes to watch what was going on. Hecklers in the crowd at that point were falsely accusing me of “hate speech,” or for saying that certain people should be put to death – something I never said. They were just trying to get me in trouble with Canadian Hate Speech laws, which I’ve been familiar with for years. I do not advocate for the execution of homosexuals, which is forbidden to advocate for in Canada. I simply warn homosexuals of God’s judgment, like I do all sinners, and call them to repentance, like I do all sinners. I don’t discriminate in my preaching as I call all sinners to repentance equally, offering salvation to all men equally. Eventually the Police Officer pulled me aside to talk with me. He was particular upset that I was an American and that I came to “his city” to do this. I explained to him that it isn’t just his city that I do this in. I do this all over the world. It’s just who I am and what I do. Unfortunately, a brother on the team got stirred up during all of this and started preaching extremely loudly while I was trying to talk with the Police Officer on the side. The Officer pointed at him and said to me, “Don’t you think that is unreasonable noise?” I said, “That’s debatable.” (He had no amplification and he was competing with the noise of the cars and trucks). Apparently I gave the wrong answer so he wrote me a ticket for “unreasonable noise.” I should have told the Officer, “I’ll tell him to tone it down” and maybe he wouldn’t have written the ticket. The ticket was around $100 I think. But another brother on the team took my ticket and said he would pay it for me, which was a huge blessing. All in all, this mission trip to Canada was a huge success! The church was stirred up for the work of evangelism and thousands of people heard the Gospel out in the streets! Canada needs Jesus and I was happy to offer Him to them! 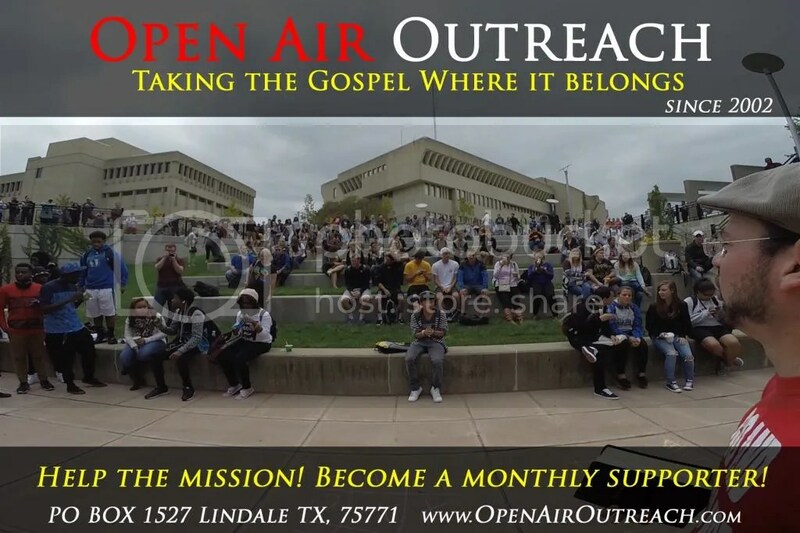 If you haven’t subscribed to our OpenAirOutreach Youtube Channel, you should check it out. Here are two recent comments about our videos. A lot of people find our open-air preaching videos to be both educational and entertaining. And people from all over the world have told me that they repented and got saved because of these videos! Praise God! People often ask, “Does anyone actually come to the Lord through this type of ministry?” Yes! All the time! I get message after message every single month from people all over the world telling me how they repented of their sins and turned to the Lord because of our street preaching. I share testimony after testimony in each of my newsletters! Here are just a few more recent testimonies. Please PRAY for these people! 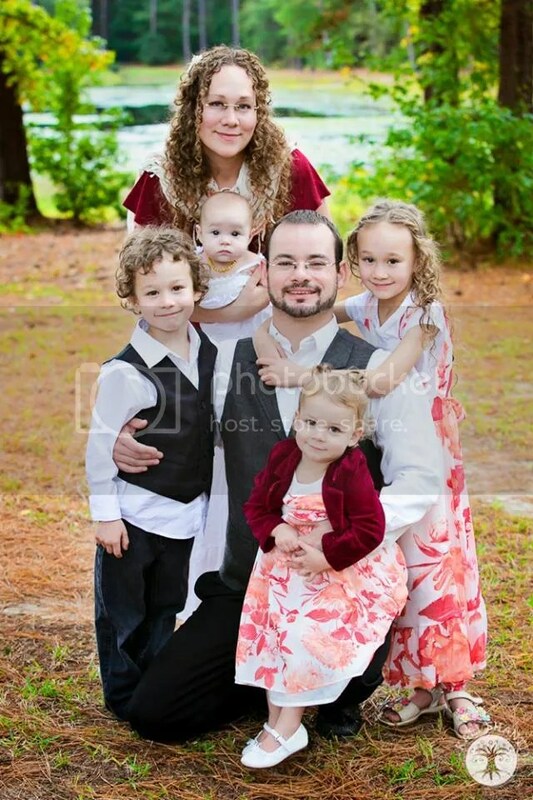 Hello brother Jesse my name is Joshua , I am 23 years old living in California and I wanted to reach out to you for advice pertaining to the bible and the steps on how to be saved. I’ve repented of some sins such as smoking, fornication, and drinking. I really want to escape all sins because I feel guilty inside and I know right from wrong in my conscious. I just want to follow God and live holy for him. I didn’t have a father growing up and from watching your preaching videos on youtube for about a few months now, I was instantly drawn to the word but not showing my works. Slowly I started to understand God’s word from your own preaching and just yesterday, Wenesday September 5th, I have decided to repent of those sins listed above. Brethren, again I urge you, please pray for these people! God is on the move. Lives are being changed and transformed! But we need to be diligent to preach the Gospel and pray for lost souls! This entry was posted in Uncategorized and tagged Evangelism Seminars, Evangelism Teaching, evangelism training, Gospel Truth Outreach Canada, Hate Speech laws in Canada, How To Draw A Crowd Open Air Preaching, How to WIn Souls to Christ, Jesse Morrell, Street Preacher in Canada, Street Preaching in Canada, Street Preaching in Cornwall, Street Preaching in Montreal, Street Preaching in Ottawa. Bookmark the permalink.